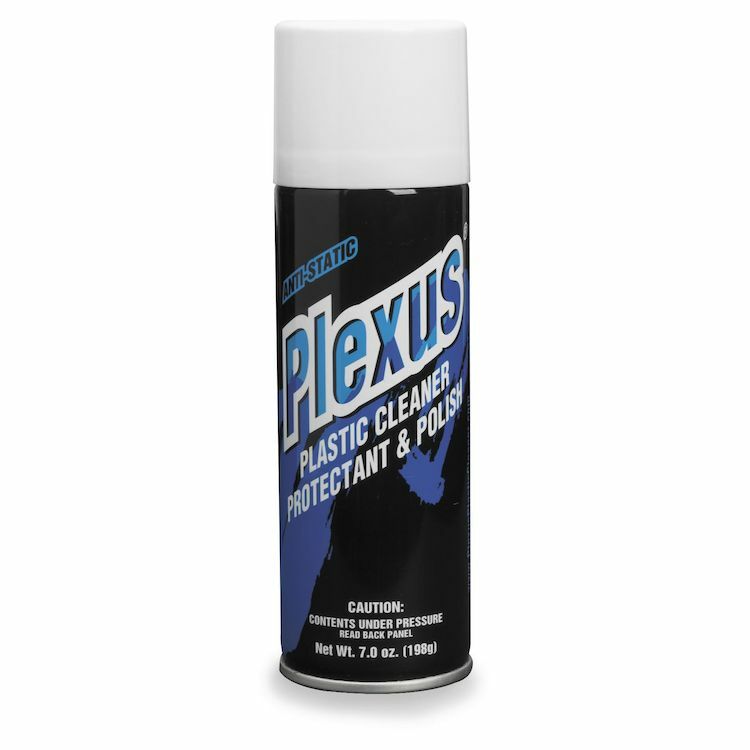 I've been using plexus to clean and protect automotive window tint at work for a long time now. I never thought to use it on my bike and gear until i saw it on the shelf at my local cycle gear. Plexus sprays on and wipes off streak free. Use it with a microfiber towel. I coat the inside and outside of my helmet with it, spray and let it sit for bugs and grease on the bike. Can be used on paint, chrome, vinyl, plastic and glass. It isn't cheap, the price has doubled in the last 5 years. However, the large can will last you a long time, it's very dense and sprays a fine mist. A little goes a long way. I can probably coat the windows of 50 cars with a large can, it would be difficult to use more than one can in a year on just one motorcycle. Haven't tried the cheaper versions that were on the shelf next to it. Can't imagine another product that can wipe off as streak free as Plexus and protect for as long as it does. My visor is crystal clear with this stuff and it stays easy to clean after a ride. I have used Plexus for years and the results are great. It is the very best for my windshield, on my Harley-Davidsons, my face shields, on our helmets and riding glasses. I never use any other products, other than water and terry cloth towels to clean my windshield. I highly recommend Plexus; the only draw back is that it is really expensive.